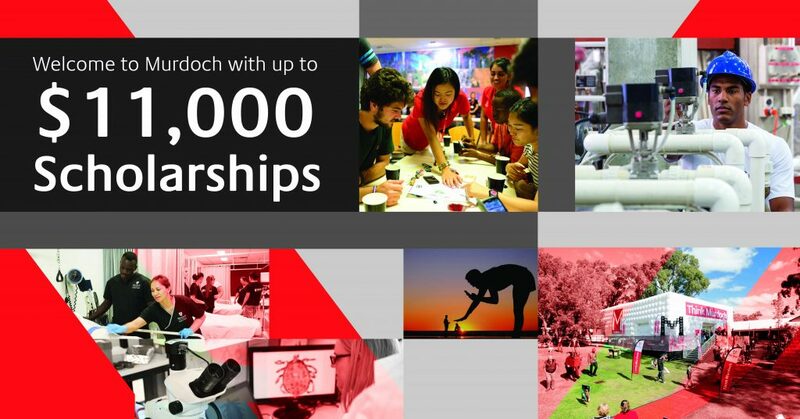 Murdoch University offers $11,000 scholarships for Business & Governance and Bachelor of Nursing eligible courses, and $8,000 scholarships for all other eligible courses. 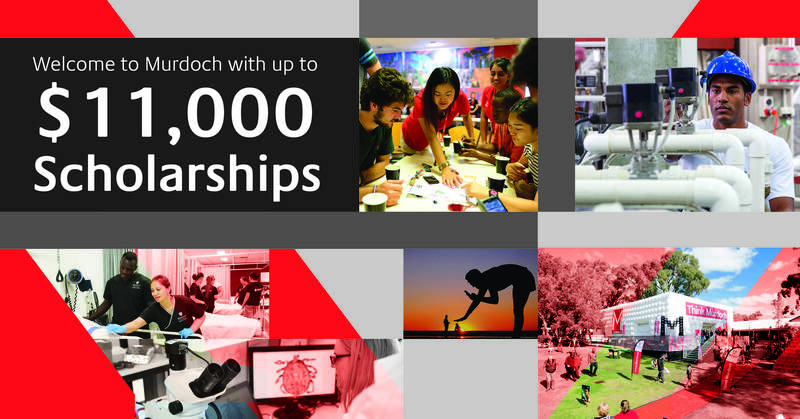 These scholarships are paid to the students tuition account in four installments, across 2 years. Africa, Bangladesh, Bhutan, Cambodia, China (inclusive of Hong Kong, Macau and Taiwan), India, Indonesia, Malaysia, Mexico, Middle East, Mongolia, Myanmar, Nepal,Pakistan, South Korea, Sri Lanka, Thailand, the Philippines, Vietnam.